After showing some signs of improvement, it seems the situation at the John Polk ‘Correctional’ Center is not going to resolve itself. Despite the initial promise that was made to relocate Bill to another jail, he doesn’t appear to be going anywhere. 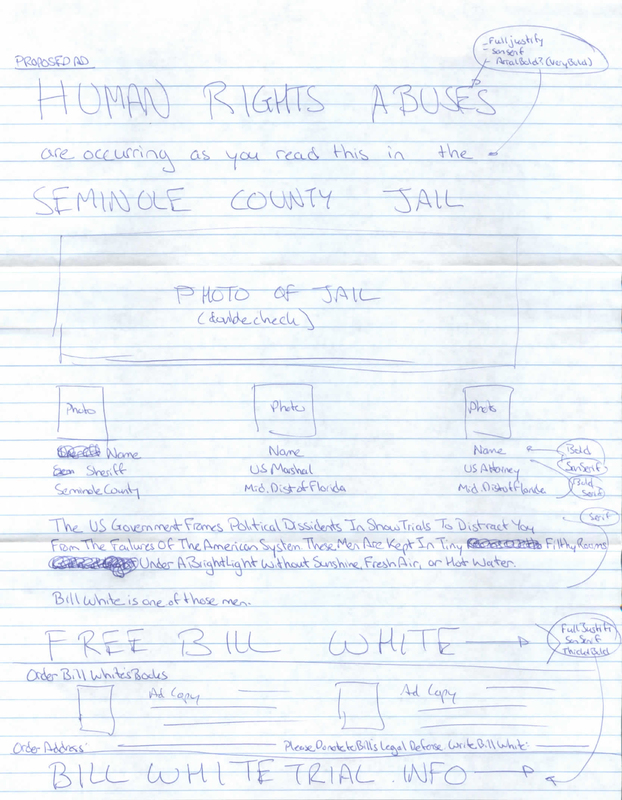 It’s now three weeks past Bill’s hunger strike and he’s still in a dingy insolation unit, still starving and still sick. Bill currently has no phone access, and according to two different sources some of Bill’s mail is not being received or being sent. As we all know these are UN violations and Human Rights issues. The John Polk ‘Correctional’ Center is also in the process of trying to get its accreditation approved (which it needs to remain operational). Varg Vikernes ‘Hate crimes’ or Secret Weather Control Device?